We want to thank you sincerely for joining us this season! Despite the challenges this year, we feel that our CSA program has been a huge success, and hope you feel the same way! We are already looking ahead to the 2019 season, but we could really use your help to officially close out the 2018 season and help us with our planning. The following survey is critical to helping us know how you REALLY felt about your food each week. The results will come to us anonymously, unless you choose to fill out your name and information. Honesty is definitely important here, as that helps us with our future decisions, so we can meet our customers' needs as best we can. Please take just a couple of minutes, fill out the survey below, and click the "Submit" button at the bottom. Please note that our web host may not send your form properly if you submit it using a cell phone, so if you have access to a desktop computer (or possibly tablet), that is a better option! Please complete the form to the best of your ability. Price is the biggest consideration when selection my produce supplier. Price is important, but I am willing to pay a bit more to know my food is raised responsibly and ethically. Price is not a big factor, rather I greatly value knowing how and where my food was raised, and that is was grown in a sustainable manner. 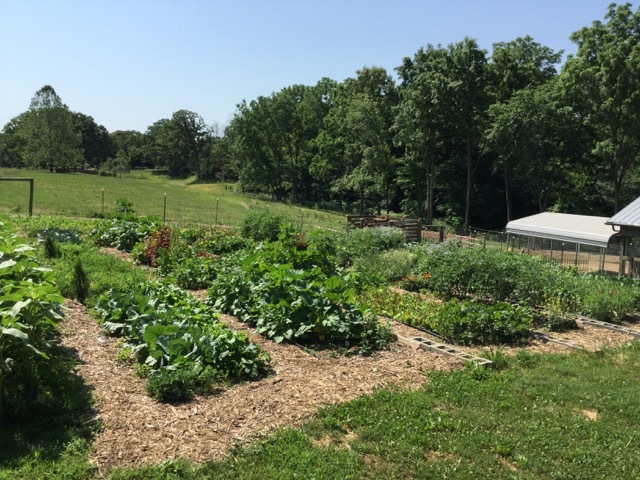 To help us improve and expand our CSA program in the future, how willing would you be to help us manage the gardens, in exchange for a discounted price on your share? I would LOVE to pull weeds on a regular basis!! I would be willing, as long as the weather isn't hot! I'd consider, but gardening is NOT my favorite activity! I would rather pay in full and enjoy my air conditioning!